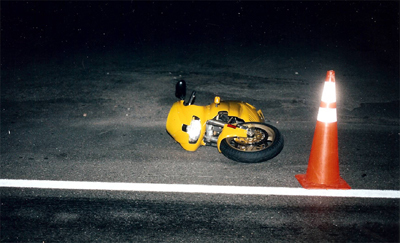 When comparing motorcycle crashes to car crashes, one of the most important things to remember are the number of wheels on each type of vehicle. Motorcycles handle differently, steer differently and are less stable than vehicles equipped with four wheels. 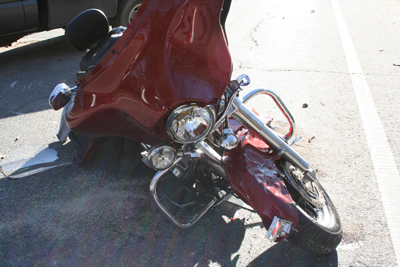 Shown below are examples of motorcycle crash evidence that may be analyzed.